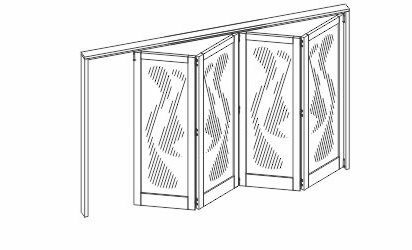 Brio’s Weatherfold 4s 50F offers the versatility of folding doors without a channel for up to 4 panels in each direction. 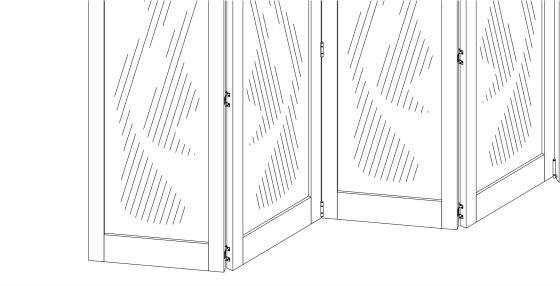 Whether used on a large servery application or for full height panels, this residential and commercial system provides weatherproofing on timber or aluminium systems with non-mortice hinges as standard. Cast stainless 316 hardware and stainless steel bearings offer high performance even in coastal areas. For larger openings requiring a guide system, see Brio’s Weatherfold 4s for panels up to 100kg.